John Fitzgerald Kennedy often referred to by his initials JFK, was the 35th President of the United States, serving from 1961 until his assassination in 1963. After military service as commander of the Motor Torpedo Boats during World War II in the South Pacific, Kennedy represented Massachusetts’s 11th congressional district in the U.S. House of Representatives from 1947 to 1953 as a Democrat. Thereafter, he served in the U.S. Senate from 1953 until 1960. Kennedy defeated then Vice President and Republican candidate Richard Nixon in the 1960 U.S. presidential election. He was the youngest elected to the office, at the age of 43 the second-youngest President, and the first president to have been born in the 20th century. Kennedy is the only Catholic president, and is the only president to have won a Pulitzer Prize. 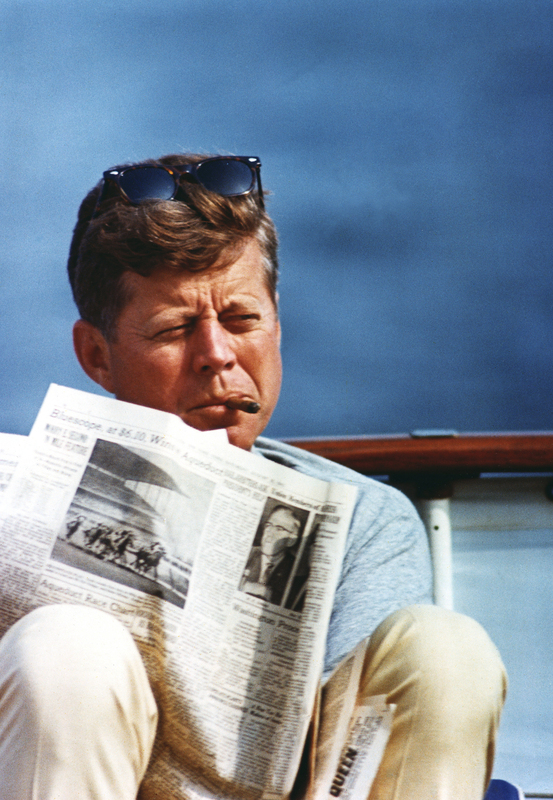 Events during his presidency included the Bay of Pigs Invasion, the Cuban Missile Crisis, the building of the Berlin Wall, the Space Race, the African-American Civil Rights Movement and early stages of the Vietnam War. Kennedy was assassinated on November 22, 1963, in Dallas, Texas. Lee Harvey Oswald was charged with the crime, but was shot and killed two days later by Jack Ruby before a trial could take place. The FBI, the Warren Commission, and the (HSCA) concluded that Oswald was the lone assassin, with the HSCA allowing for the possibility of conspiracy based on disputed acoustic evidence. Today, Kennedy continues to rank highly in public opinion ratings of former U.S. presidents. Many consider the assassination of JFK as a pivotal event that was the catalyst for evolving the culture of the United States from one of optimism to that of skepticism. It’s a defining moment as arguably the first time where major segments of the population found reason to reject the “official story.” From that moment on, distrust in the government began to fester with measurable impact, and the popularization of the term “conspiracy theorist” began to take root. The JFK assassination is perhaps the most discussed and most widely accepted conspiracy theory. The notion that factions within the government planned the murder of the president finds itself deeply entrenched within the culture through countless books, television shows, broadcast and cable specials, and feature movies.